Wisconsin lawmakers are reportedly considering legislation that would allow individuals who reside in the state to legally possess a marijuana derivative used to treat seizure disorders. If the bill that was introduced by Representative Scott Krug and Senator Van Wanggaard becomes law, Wisconsin residents would still be prohibited from producing, purchasing, or transporting cannabidiol oil (“CBD”). In addition, federal marijuana regulations would apply. According to the nation’s Food and Drug Administration, CBD is a Schedule 1 prohibited substance. The measure was apparently introduced in an effort to allow the parents of children suffering from a debilitating seizure disorder to possess CBD without fear of prosecution. Opponents of the proposed law recently told the Assembly Committee on Children and Families that decriminalizing possession of CBD could have a dangerous impact on public health and safety because the drug has not been thoroughly tested. Although the State of Wisconsin made it legal for hospitals to test the safety and efficacy of CBD last year, no clinical trials have been conducted. Some parents whom the proposed bill was designed to protect also oppose the measure. According to one mother, the law does not go far enough to protect children who suffer from a seizure disorder because it does not address CBD quality measures. Instead of passing what she believes is piecemeal legislation, the mother stated Wisconsin lawmakers should consider a more comprehensive law. In addition, both the Wisconsin Sheriffs and Deputy Sheriffs Association and the Wisconsin Chiefs of Police Association have expressed opposition to the proposed bill. The Wisconsin Legislature is now considering two other bills that would remove criminal penalties for individuals who are caught with less than 25 grams of marijuana in their possession. Under current law, an individual may receive a fine of up to $1,000 and up to six months in jail the first time he or she is caught with any marijuana. Subsequent offenses can result in a felony conviction and increased penalties. Assembly Bill 246 and Senate Bill 167 would not only repeal such punishments but also remove penalties for cultivating up to two plants and change how edible marijuana products are weighed. Both proposed measures are now being considered by their respective Public Safety committees. In April, Representative Melissa Sargent introduced yet another marijuana-related bill. 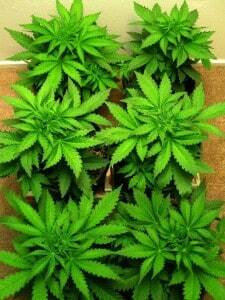 The proposal would allow Wisconsin residents over age 21 to legally possess any quantity of marijuana and cultivate up to 12 plants. The proposed law would also allow visitors to the state to have up to one-quarter of an ounce of the drug in their possession without penalty. Additionally, the measure would establish a medical marijuana program that would be administered by the Wisconsin Department of Health Services. If you were charged with possession of marijuana or another drug crime in Milwaukee, you should contact the law offices of Reddin & Singer, LLP through our website or give us a call today at (414) 271-6400. Our hardworking Wisconsin criminal defense attorneys may also be reached by using our phone number (414) 271-6400.